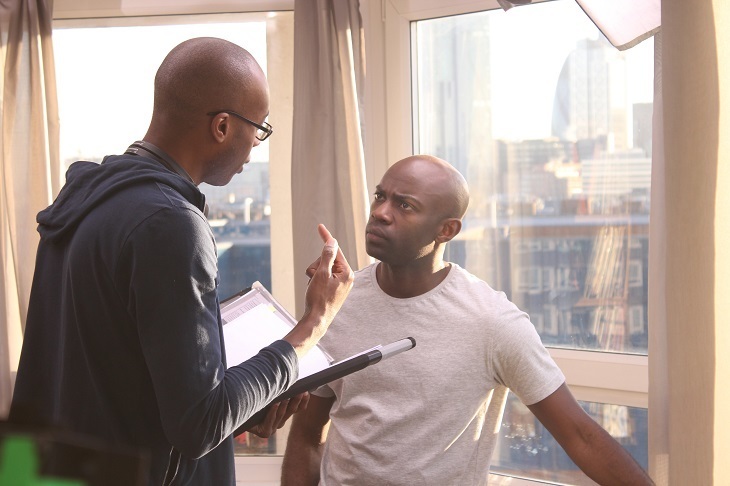 Sean Spencer directing David Gyasi in Panic. Photo Scott Johnston. As part of Londonist’s coverage of Black History Month, we take the opportunity to salute London’s actors and filmmakers of colour who are currently conquering Hollywood — and also look at the issues that need to be addressed to sustain their remarkable success. The story neatly sums up the current situation for actors and filmmakers of colour: finally, they are getting the top jobs yet they are still getting cut as they break through the glass ceiling. Similarly, Hackney’s Idris Elba may now have reached national treasure status, but when he’s linked to playing the part of James Bond, he has to put up with a normally intelligent writer like Anthony Horowitz saying he’s "a bit too street”. Elba has since said the issue has become "The bane of my existence". Black actors and filmmakers have long had to put up with double standards in the film industry. But the tide is now turning — and it's a golden generation of Londoners who are at the forefront of that change. 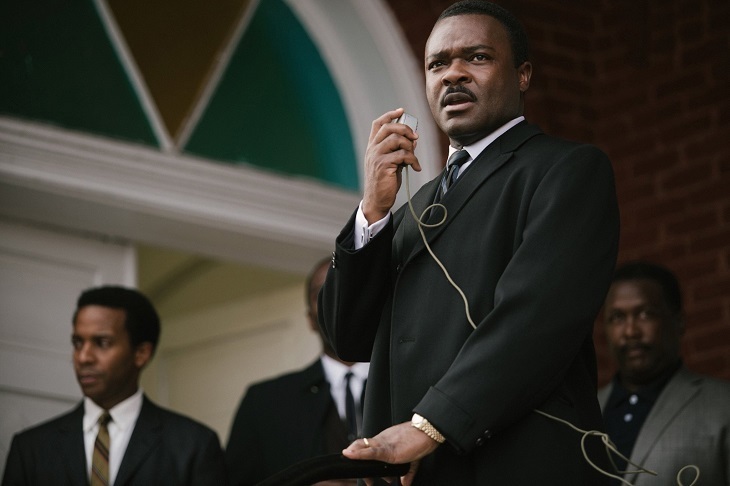 Alongside Elba and Boyega, there’s also Chiwetel Ejiofor (12 Years A Slave), David Oyelowo (Selma), Naomie Harris (Spectre), Thandie Newton (Crash) and David Gyasi (Interstellar). 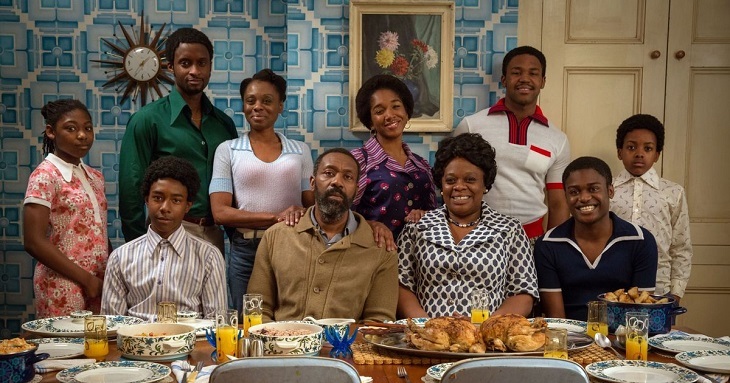 And behind the camera are rising stars such as Richard Aoyade (The Double), Amma Asante (Belle), Biyi Bandele (Half Of A Yellow Sun, Fifty), Noel Clarke (Adulthood) and Destiny Ekaragha (Gone Too Far), not to mention the Oscar-winning Steve McQueen who is blazing a trail at the front. None of these people are privileged Hollywood types: they all come from familiar bits of London such as Dulwich, Tooting Bec, Hammersmith, Leytonstone, Plaistow, Lambeth and Ealing. But one thing many of them have in common is that they had to go to America to get that elusive break. In the States I read for the leads and they aren’t looking for African-American characters or the ‘black guy’ parts. Writer-director Sean Spencer did cast Gyasi as the lead in his film Panic, a tense Hitchcockian, London-set thriller about a man who witnesses a kidnapping but must overcome his own panic attacks if he is to help. Spencer says: “Panic was the result of a lot of failure: a micro-budget feature I knew I could make that had a lot to do with not being able to get into the industry. It’s very much a positive thing to have big name actors breaking through but that success is not necessarily true of people of colour behind the camera, and especially in positions of power. Spencer’s perspective has also been voiced by the likes of actor David Harewood, who went to the States to star in the series Homeland but found less opportunity when he came back. Also, last year Lenny Henry used his BAFTA keynote lecture to criticise the TV industry for its lack of diversity (and will be back with another talk on the topic in November). 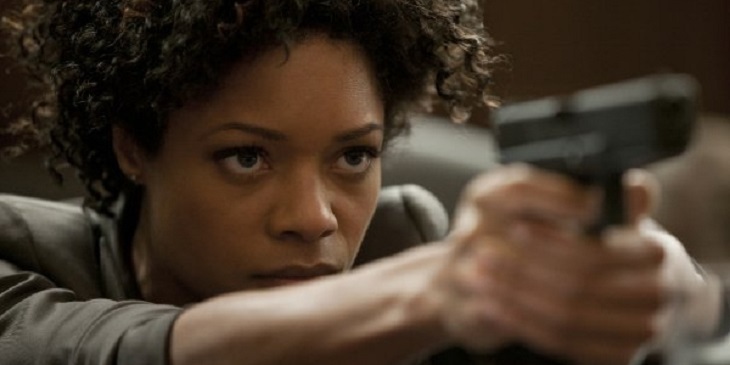 It does seem, however, that the twin worlds of film and TV are starting to listen, with diversity programs recently being implemented across several big organisations so they can boost numbers of BAME faces (ie: black, Asian and minority ethnic). Last summer the BFI announced its ‘Three Ticks’ rule requiring applicants for grants to demonstrate commitment to making films by employing a broader spectrum of personnel. At the same time the BBC announced plans to boost the number of BAME individuals on-air by 40% over three years. Sky chimed in with similar targets, saying that up to 100 shows should look different by the end of 2015 as part of a strategy to “rebalance the years of under-representation". Elsewhere Film London continues to push London Calling Plus, a competition to give people from minority backgrounds a leg up through short film financing and mentoring (the current round closes on 21 October). Danny And The Human Zoo starring Lenny Henry and directed by Destiny Ekaragha. She cites Danny And The Human Zoo (based loosely on her own family) as the type of film with broad appeal that should be the norm instead of the exception. One other problem she identifies is the popularity of period drama and the fact that black people aren’t usually seen as a part of these stories. But that doesn’t have to be the case: Amma Assante who made Belle last year, is following up that story of a mixed-race woman living in 18th century Hampstead, with A United Kingdom. Starring David Oyelowo and Rosamund Pike, it tells the true story of a prince from Botswana who married an English woman in the 1940s, causing controversy on both sides of the racial divide. Look at the beautiful buildings in London — the blood of my ancestors are in those bricks. Why is that story not being told when ‘we’ love a period drama? Amedume is not convinced by the idea of quotas or ring-fencing money for different ethnicities. “It’s a double-edged sword and can be seen as a kind of racism. I mean I’m black but I’m not a black filmmaker, just a filmmaker. Perhaps what’s needed now is sustained pressure to make sure these discussions about diversity do not evaporate. It’s good to see festivals such as BFM and BUFF championing counter-cultural creativity with the latter holding its inaugural award ceremony last month to celebrate black and urban films. "Our aim is to encourage rising talent," says BUFF's founder Emmanuel Anyiam-Osigwe. "It was very important for me from the start to give a platform to people who might be seen as being on the margins of society. The aim has always been to support the films by getting the work seen by as many people as possible, which is why we've developed partnerships with Channel 4 and London Live." Elsewhere there are awareness-raising initiatives like the Act For Change Project, formed by actor Danny Lee Wynter, which pretty much does what it says on the tin and is growing in strength. Actor Justin Marosa works with young people and is convinced that bigger thinking is required: “We need to turn the lens on ourselves and create another blueprint. I don't think it's an industry problem; I think it's a society problem: we need to trust each other more and learn to collaborate. There needs to be a grassroots movement where the new blood and the old blood listen to each other and then action something. I don't believe, I know there's a BAME audience out there; they just need product. We don't always have to focus on the same clichés." 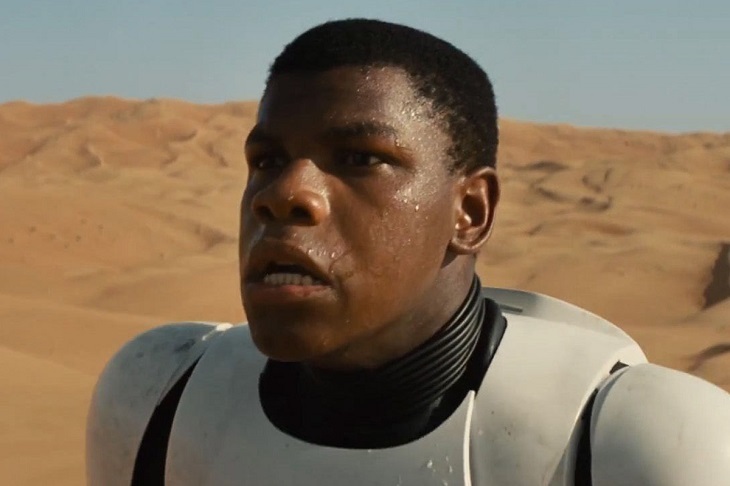 Hopefully things will change and, with the release of the new Star Wars film, an open-minded tribe of new young fans will drown out the sounds of the haters who can't get their thick heads around the concept of a black stormtrooper in a galaxy far far away (it seems they have conveniently forgotten that scene in Return Of The Jedi where Darth Vader — a character voiced with the regal rumble of James Earl Jones — takes off his helmet to reveal the face of the white English theatre actor Sebastian Shaw). 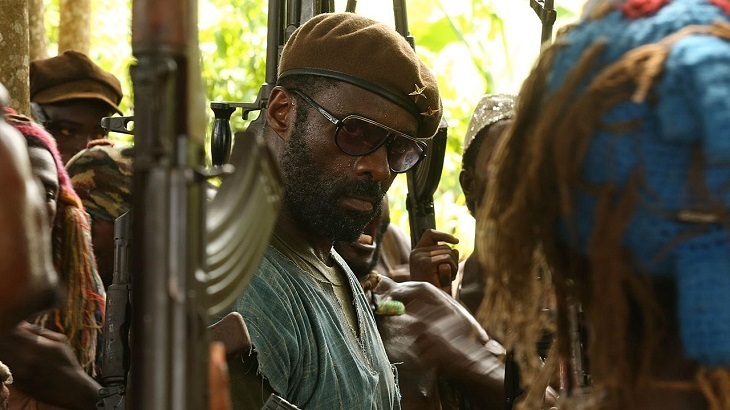 And as for Idris Elba playing Bond; why bother? We’d rather see him creating a rival spy character within the corridors of MI6 — how about 001? For more on the legacy of black British filmmakers try this BFI rundown of seminal films. On 17 November Lenny Henry will return to BAFTA to assess whether anything has changed in TV since his 2014 speech. The event is called Diversity in Television: Lenny Henry 18 months.